On Monday, 25th September, 2017, Donya Spanta addressed a group of Croatian leaders about the plight of refugees, asylum seekers in Croatia. She delivered her message in the Croatian Parliament at the reception given in honor to Tvrtko Barun, one of the two recipients of the award “European Citizen” for the year 2017, for his leadership of JRS – Jesuit Refugee Service in Croatia and Southeast Europe. Donya Spanta spoke on behalf of hundreds of refugees who are at this time waiting to have their asylum requests accepted. Donya’s message delivered to the Croatian leaders two months ago is the message that all governments slow to receive refugees must hear. 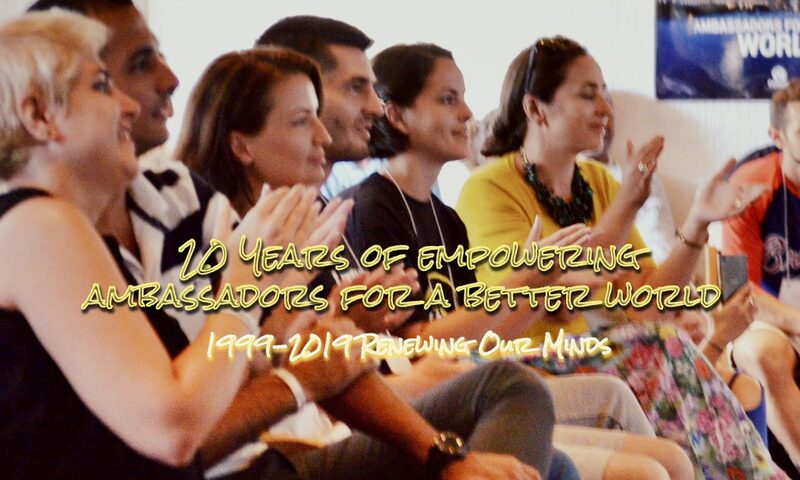 Donya Spanta and her husband Shayan served in the ROM – Renewing Our Minds 2017 leadership and facilitating team. A refugee is a person who has been forced to leave his or her country in order to escape war, persecution, or other reasons. But who is a refugee according to media or in the minds of many people these days? A criminal, an illiterate person, or a dangerous person. I’m from a modern country. I graduated in business administration, and my husband graduated in art. We’re trying hard to stay strong, and focus on our lives in this country. We’re trying to help people however we can – with translation, with talking with them, spending time with them, or anything else that we think is important for them in this situation. Maybe you want to know, in my country there is no war, but we had left our homeland, our family, our friends, our home, our job, and whatever else we had because of persecution. We didn’t have any other choice but escape. Then we applied for asylum. At the first meeting that we had with a legal advisor, they said that the asylum procedure takes around six or nine months. We had two interviews in the first four months. Our decision makers said we needed to wait two more months to hear from the MUP (Croatian Police). Then sixth months later we got a letter letting us know we needed to wait for another three months. In the ninth month, we got another one telling us we needed to wait four more months. Finally, after waiting for fourteen months we had our decision from the MUP. We were approved of receiving the international protection in Croatia according to our documents and proofs, but SOA (Croatian Security and Intelligence Agency) identified us as a threat. I was in a state of shock for several days. I could not understand the reason why because they didn’t explain it. In fact, right now I am a threat to your country, and I am speaking in your parliament. What an amazing composition. We appealed, and are still waiting for the court date. The procedure is really slow, and long. People are losing their hope, their patience, and their health. Women are depressed. Many marriages have been ruined. I know a girl who was left by her brother, who went to another country because he was not sure about his future here. And I know family with two little boys abandoned by their mother. She left them because she lost hope. You may come to our center to hear more real-life stories. But I’m not here to complain. Seen from another perspective, we live in a beautiful country with nice people and rich culture. You are friendly and welcoming. We have given us a shelter and food. It is not good but it is OK. You are giving us whatever you can. Many organizations work with us to help us have a better life, and I’m so thankful for all of them. I am here to ask you to think about our problems and find solution for them. I am talking here on behalf of the people who are living in limbo, and suffering in a hopeless situation. Please bring the change, do something however small. May God bless all of you!